Since I had used one polish from the True Blue Duo yesterday, I thought I should use the other one today. I tried out Sea Spray, a gorgeous dark blue holo, but it came paired with Bubbles, a sparkly blue glitter topcoat, so I put Bubbles right on top of Sea Spray! Now I know it's blue on blue, so it may be a bit hard to see in photos. It looked great in person, but unfortunately didn't transfer perfectly here. Still, it is an amazing combination, and I really can never get enough blue so I love it! I'll have to use it over white or a lighter blue next time. Like I said, while Bubbles is mostly made up of blue glitter, it looks great over blue too. I did somewhat of a glitter gradient from the top down over Sea Spray. 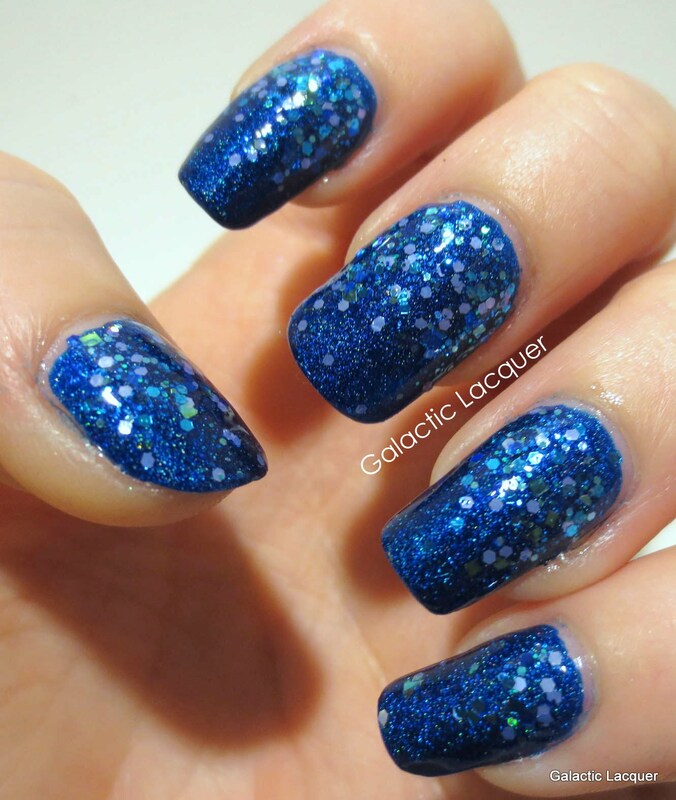 Bubbles is a clear base filled with all sorts of blue glitter. It has a few different shades of blue metallic hex glitter, but it also has holographic squares and lots of super fine blue glitter to fill in the gaps. The glitter isn't too sparse, although I did a gradient so it's more dense at the top. I really want to try this polish over white, lighter blues, and I even want to try it inside of a white jelly sandwich! I think it's gorgeous and is very versatile. Blue goes with just about anything! 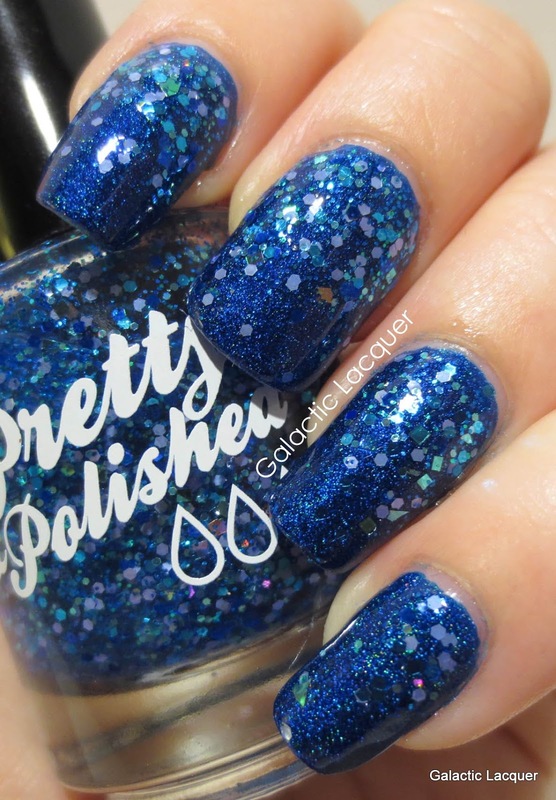 Bubbles can be purchased from Pretty & Polished in the True Blue Duo for $18.00, or alone for $9.00. I bought the duo, and honestly couldn't be happier with it! 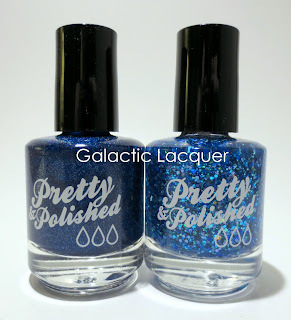 It reminds me of the Happy Holodays duo, also from Pretty & Polished, and I'm glad I got that duo as well!